Oakland city leaders, including Mayor Jean Quan, made a big deal recently over the announcement that William Bratton, the celebrated former police chief of New York and Los Angeles, is to be a consultant to Oakland Police Chief Howard Jordan. But while aspects of Bratton’s record suggest that he could bring a strong, positive influence to OPD, there are parts of his background that should make Oakland leaders wary. In fact, officials would be smart to not treat Bratton as some sort of savior, and to think carefully before adopting advice that he may give. As for the positive things that Bratton, who is to be hired as part of a team with former Hartford Police Chief Patrick Harnett, could bring to Oakland, there’s CompStat, a crime-tracking system Bratton developed that could, if it’s employed correctly, enable OPD to use solid data to lower the city’s high crime rate. OPD has long needed to adopt smart, data-driven policing strategies. Harnett, who also worked for Bratton when Bratton was New York’s police commissioner, also is a big proponent of solving crimes. In 2006, Oakland’s then Mayor Jerry Brown commissioned Harnett and his team to examine OPD; Harnett concluded that a substantial portion of Oakland’s crime problems could be attributed to the fact that OPD does a poor job of investigating and solving crimes. As the Express has repeatedly reported, OPD has one of the worst track records in the nation when it comes to its “clearance rate,” which is police jargon for its rate of solving crimes. In 2011, the most recent year for which complete data is available, OPD solved just 29 percent of the homicides in the city. In other words, killers got away with murder more than 70 percent of the time that year in Oakland. Harnett contends that putting criminals behind bars not only stops them from committing more crimes, but also leads to a lower crime rate, while the failure to catch them leads to a higher crime rate. “Investigative work, the search for and arrest of perpetrators of past crimes, is … one of the most effective ways to prevent future crimes,” he wrote in his study about OPD. That may sound like a no-brainer, but, for whatever reason, OPD has failed to fully embrace crime-solving as one of its primary strategies. Harnett, meanwhile, also recommended in his study that OPD should shift to geographic policing — a crime-fighting plan that Bratton also endorses. Under geographic policing, the city is divided into districts and the police commanders of those districts are held personally accountable for the crime trends in their areas. Geographic policing also works well with community policing in that it helps both commanders and street cops to become familiar with specific areas of the city and to forge relationships with community members. Following Harnett’s report, then-Police Chief Wayne Tucker instituted geographic policing in Oakland, dividing the city into three districts, and in the years that followed, crime went down citywide. But his successor, Chief Anthony Batts, then partially abandoned both geographic and community policing in Oakland after the city council laid off eighty cops in 2010. Crime then increased substantially in 2011 and 2012. Jordan, however, recently re-implemented geographic policing, dividing the city into five districts. The police chief also has vowed to recommit OPD to community policing and to improve police relations with city residents, which have been strained over the years. “We hope that, in turn, by building trust, people will feel more comfortable working with police,” Jordan recently told the San Francisco Chronicle. Bratton, meanwhile, also was successful in helping LAPD enact court-mandated reforms when he was the department’s police chief from 2002 to 2009. The federal consent decree in Los Angeles, which stemmed from police misconduct in that city, was similar to the one that currently governs OPD. But LAPD under Bratton was able to implement its reforms, while OPD has failed over the years to do so. In short, when it comes to CompStat, crime-solving, geographic policing, and finally enacting the federal consent decree, Bratton and Harnett could provide substantial assistance to Jordan and help OPD become much more effective. 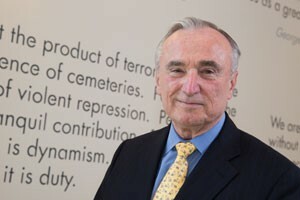 However, Bratton also is known for embracing other policing strategies — including stop-and-frisk, youth curfews, and gang injunctions — that are unsuitable for Oakland and should create concern for city leaders. Stop-and-frisk has created a firestorm of controversy in New York because it has led to racial profiling there. Young African-American and Latino men are far more likely to be stopped by NYPD and publicly searched or frisked than young white men. And in the vast majority of instances, police in New York stop and frisk innocent people. Moreover, the proportion of young black and Latino men who are subjected to stop-and-frisk in comparison to whites is far higher than the proportion of arrests. In a city like Oakland, where the police department has long been accused of racially profiling young men of color and the department is deeply distrusted by large numbers of residents, adopting stop-and-frisk would be a huge mistake. There’s also the question of whether OPD has enough officers to enforce stop-and-frisk. In a report to the council last year, Jordan noted that OPD does not have the resources to enact and enforce a youth curfew. Likewise, the cash-strapped city cannot afford to expand its extremely costly gang-injunction program. In short, if Bratton recommends that OPD adopt any of these policies, Oakland leaders would be smart to ignore him. Batts, however, turned out to be a bust in Oakland. As the Express reported in late 2011, then-Mayor Ron Dellums mostly left Batts “alone” during his tenure, and Batts responded by not coming to work. Batts’ official calendar revealed that he rarely met with the mayor, and instead regularly schmoozed with journalists, took long weekends, and didn’t show up at police headquarters for days at a time.